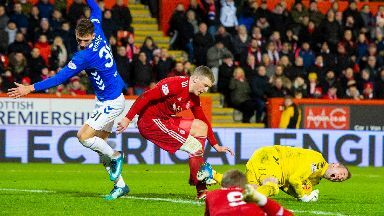 Police were called to an incident in the home end at Pittodrie during the Premiership tie. Football: Two men have been charged. Two men, aged 47 and 57, who are both from Aberdeen, will appear at the city's sheriff court in connection with the allegations.